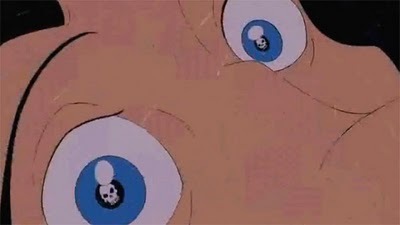 Gaston's Skull Eyes. . Wallpaper and background images in the Disney Princess club. This Disney Princess photo might contain laptop and laptop computer. I had to stop fastforward then rewind so much to find it when I wanted to show my brothers. Creepy, yet cool.